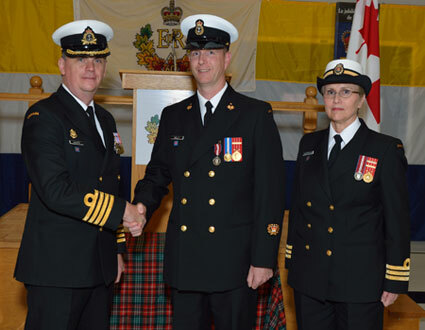 UNB employee, Todd Kelly (BSc '92), who is a technical officer in the department of physics, has been appointed a member of the Order of Military Merit. Todd has been involved with the military for 30 years and holds the position of Chief Petty Officer (CPO2) in the Naval Reserve. Todd is the occupational advisor for the Naval Communicator trade and the professional development coordinator for HMCS Brunswicker. The Order of Military Merit is the second highest order administered by the Governor General-in-Council, on behalf of the Queen of Canada. Created in 1972, the three-tiered order was established to recognize members of the Canadian Forces - either regular or reserve personnel - who have demonstrated dedication and devotion beyond the call of duty, achieving conspicuous merit and exceptional military service. Todd will receive his insignia during an investiture ceremony, which will be held in the coming months. Congratulations to Todd on this prestigious appointment.